Source: Announcements forum | Thread. For many years our "Alternatives" thread has been one of the most popular on the site, and it has given many people ideas for combating anything from self harm to addictions. 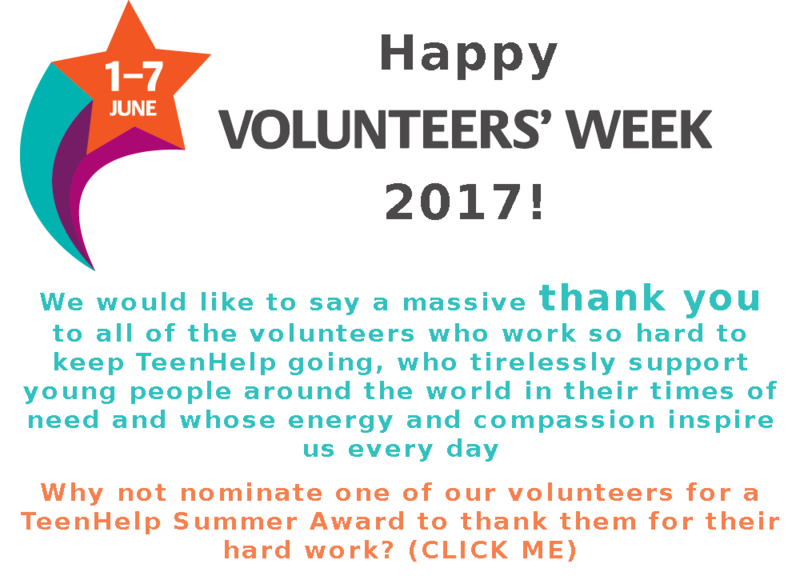 TeenHelp Winter Awards and Volunteer Of The Year 2017. It's that time of the year when I am pleased to announce our "Winter Awards", which recognise and reward many different kinds of contributions to TeenHelp. Last year we talked about the importance of growing strong roots, and that is as true as ever. But roots come in many shapes and forms. This is the time of the year to spend with friends and family, to share love and joy together, to mend broken relationships and to forge new ones too! I'm pleased to announce the introduction of a new Chat Room to replace our current one. This doesn't require specific software such as Java to use it, which I know many of you have struggled with for a while, so I hope this will mean many more people can access the Chat Room again now. I'm pleased to let you know that TeenHelp has now joined Instagram, and we're planning to put it to good use by sharing loads of great photos, using them to build awareness of issues, inspire and encourage, as well as help promote the work of our members! Holiday Photo Contest: The results are in! The votes are in! Thank you to everyone who participated.